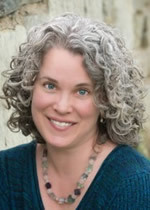 Jen Perry is a Licensed Professional Counselor, Life Coach, and Mindfulness Meditation Teacher. Jen Perry holds Masters Degrees in Psychology in Education from the University of Pennsylvania (2000) and in Clinical Psychology from La Salle University (2006). Jen Perry builds on her clients’ values and strengths and teaches them mindfulness and creative problem-solving skills, empowering them to find authentic self-expression in the world. Her approach balances the desire for personal growth and change with acceptance and loving-kindness for self and others. In all her work, Jen brings a gentle and big hearted presence to assist with the overall health and well being of her clients. She has her own dedicated mindfulness practice, which she considers a vital component of her work. For over fifteen years, Jen has worked in a variety of settings including schools, wilderness and residential programs for teens, employee assistance programs, hospital units including inpatient and outpatient oncology, emergency medicine, and private practice. She has assisted individuals, families, and groups facing difficult challenges. individuals coping with major life transitions, such as parenting at all stages, college-age transitions, life after trauma, adjusting to health changes and disability, and end of life issues. Jen is acutely sensitive to cultural, religious, and lifestyle differences. Mindfulness and Acceptance-based in-person psychotherapy helps heal the body and mind with gentleness and insightful techniques that support the whole person. Using heartfelt values as an anchor, therapy is a process by which we creatively build on personal strengths to overcome trauma and major life transitions, grief and loss, learned patterns of anxiety and depression, and problematic ways of relating to self and others. Heartful Life Coaching helps people to awaken to the wisdom of kindness and compassion in their lives so that they can live, work, and love with balance and heart. Whether your goals are to parent from the heart, meet life and work demands with mindful balance, or stretch yourself to manifest your dearest life dreams, coaching can help you become more mindful, more compassionate, think creatively, overcome obstacles, and be held accountable each step of the way. Sessions are typically held over the phone. Jen has developed and led a variety of Meditation and Mindfulness classes and comprehensive programs. Many people are convinced that they cannot meditate. Come to this class and discover that everyone can meditate everyday. Mindfulness Meditation has been scientifically proven to have robust psychological and physical benefits even at the beginning of its practice. Learn to use these simple but powerful techniques throughout the day to skillfully meet life’s ups and downs. Most of us believe that being kind to others is important. However, most of us treat ourselves with a degree of disdain and harshness with which we would never dream of treating someone else. In this class students will learn techniques designed to cultivate true acceptance, compassion and friendliness towards ourselves. Is being a mom harder than you ever imagined? Along with all the joy that becoming a mother brings there is also a whole new world of worry, guilt, and self-doubt. This can surprise and bewilder even the most dedicated mother. Moms often suffer in silence. In Mindfulness and Acceptance Training for Moms you will gain support and learn techniques to witness and attend to your fears with love and gentleness so that you can truly be present as a person and a parent. Join us whether your child is 3, 3 months, or 30! Dedicating our lives to helping others is a noble and loving livelihood. However, caring for others and ignoring our own needs eventually leads to burnout and can sap the joy out of even the most promising career. Many of us have blocks when it comes to self-care. We know what we need to do but often have trouble taking the necessary steps to actually doing it. In Radical Self-Care for Healthcare Professionals you will receive support and learn techniques to meet yourself in new and caring ways. "I have a deep respect for my clients who are the experts on themselves and their lives. Together we build partnerships to find solutions that will work, relying on the client’s knowledge of themselves and my background experience in psychology and mindfulness. This partnership is the heart of therapy, teaching, and coaching. There is a metaphor that I like a lot about the helping relationship that arises from Acceptance and Commitment Therapy: My client and I are climbing our separate mountains. From my vantage point, I can see where the nearest footholds and handholds are for my client; they have to do the climbing, but I have some distance and can help by seeing where they may be successful."